Donetsk's Shakhtar squad beat German Hoffenheim away with 3: 2 score in the match of the fifth round of the Champions League group stage. On the 14th and 15th minutes, Brazilians Ismaily and Taison led the Ukrainian team ahead. Two minutes later, the Croatian striker Andrej Kramaric played one goal. And on the 40th minute, Steven Zuber equalized the score. 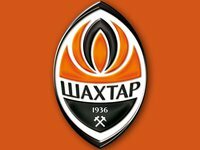 Shaktar will take on Lyon in the last round on December 12 to decide the second team from the group to go to the 1/8th final of the Champions League tournament.